Jump in to be the last one standing in the free* 100-player Battle Royale. Build huge forts. Outwit your opponents. Earn your victory. Squad up together online** with friends in the same room*** or around the world! Gear Up - Board the Battle Bus and drop in on your favourite zone. Gather resources, collect gear, and battle your opponents! 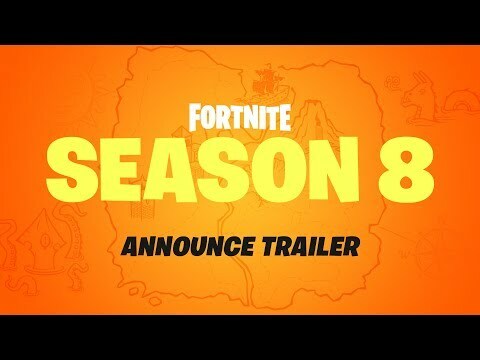 Fortnite Season 8 is available now! Fortnite Season 8 is here and it’s full of frights and delights! Jump in now on your Nintendo Switch and start playing. With every new season comes new locations, new gameplay items, a new Battle Pass and more! *Includes in-app purchases. **Internet connection required during online play. ***Additional games and systems required for multiplayer mode. If you already have a Nintendo Switch console, squad up for a Battle Royale today! 1. Select “Nintendo eShop” on the HOME Menu to launch the Nintendo eShop. 2. Select the account you want to use. 3. Locate the game that you want to purchase, and select it to reach the game details page. 4. Any DLC associated with the game will also be available through the game details page.